Come join us at Chef Supplies by KaTom for our bi-weekly, Tuesday night cooking classes. During each class, chefs from the region present new techniques, delicious recipes, and quite a bit of entertainment. Whether you have a list of questions for our guest chefs or you’re just looking for a casual night out with friends, we hope to see you soon at Chef Supplies by KaTom. 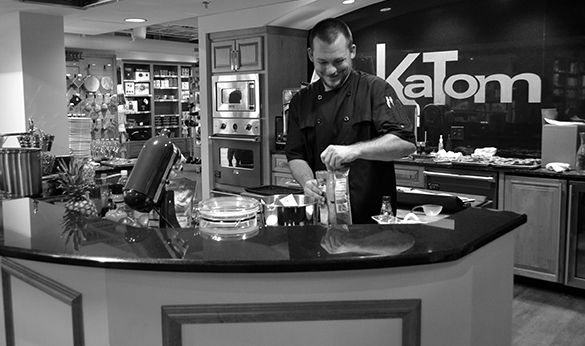 On December 9th, Chef Supplies by KaTom will host Chef Adam Tyler from Gourmet Market in Knoxville,TN. For more information and to RSVP please contact us at Chef Supplies by KaTom at 865.225.1559.